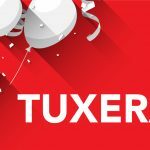 Las Vegas, USA and Helsinki, Finland – January 6, 2015 – Tuxera Inc., the market leader in file systems, streaming and network storage technologies, announced today that Tuxera AllConnect Receiver is available for immediate evaluation and deployment. Based on Tuxera’s AllConnect streaming technology and the widely adopted DIAL standard, the new Tuxera AllConnect Receiver turns any device into a full-featured wireless multimedia player. AllConnect Receiver enables any device including wireless speakers, smart TVs, projectors and car dashboards to receive and play any content sent from a phone or a tablet. It works with any application built on top of the AllConnect SDK. Integrated Tuxera’s Accelerated Protocol lets the users enjoy seamless streaming of ultra high-quality music, high-definition photos, and 4K videos. AllConnect Receiver can be fully customized to any specific customer needs. Tuxera’s AllConnect streaming technology is available for developers and device manufacturers to create applications that enable everyone to share music, videos, documents, and pictures from any storage location including media servers, online channels, and the cloud to any connected device. Tuxera will be demonstrating AllConnect Receiver at the Tuxera Technology Showcase at CES 2015. The showcase is held in Westgate Las Vegas Resort and Casino from January 6th to the 9th. For more information about AllConnect SDK and AllConnect Receiver, please visit http://allconnectsdk.com. Tuxera is the leading provider of file systems, streaming and network storage technologies that allow music, pictures, videos and other content to be shared across mobiles, tablets, home entertainment, consumer, industrial or any other electronics. Tuxera’s industry-standard file system solutions for Android, Linux, Mac OS X and other platforms have hundreds of millions installations. 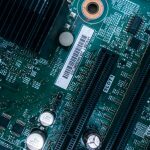 Close collaboration with industry leaders ensures reliable compatibility and helps to set high standard in performance, low power use for embedded and mobile solutions. For more information, please visit www.tuxera.com. Eva Rio is a service designer and marketing manager at Tuxera Inc. Eva is also one of the lead organizers of the Finnish Android Association (now Google Developers Group Helsinki), the largest community of mobile developers in the Nordic countries. At Tuxera she works closely with developer communities to strengthen the software ecosystem in Helsinki region and drives design thinking initiatives to improve customer experience. Eva holds a M.Sc in Service Design and Engineering from Aalto University.